We are dead smack in the middle of January. The sun rises late and sets early. For many of you Canadians out there, this is a pattern that you can appreciate. And also follow. It’s no wonder that animals either hibernate or head south for the winter. I am all for hibernation and know of plenty of snowbirds that escape the chill of Canadian winters for the balmier weather south of the border. Realistically though, I still have to get up to start my day every morning, if not for school for the kids, then for their hockey practice. Or even work some days! When the day’s hours don’t seem enough, the presence of a crock pot can seem like a life saver for some homes. I have said it before, but I’ll say it again. Most crock pot recipes are simple and straight-forward with few ingredients and even less effort to prepare a nutritious and delicious meal at the end of the day. Because if you’re struggling to get out of bed, fit in your workout (remember that new year’s resolution you set? ), spend time with friends, family, plus work, sometimes you just need those extra hours in the day. Here are a few recipes that will save those hours for you. 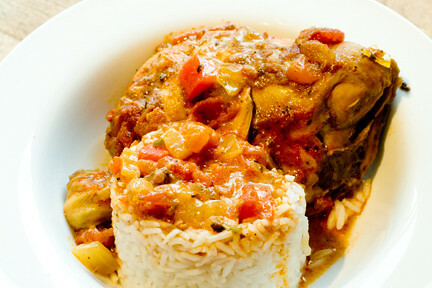 The first one is Easy Chicken Curry from lifemadedelicious.ca. Time to heat up January! Prior to serving stir sour cream into the curry dish. Serve with rice. That’ll heat up dinner tonight! Now, how about including a winter vegetable that can readily be found in most Canadian grocery stores this time of year. I am talking about cabbage; an excellent source of vitamin C, vitamin B6, vitamin K, calcium, potassium, iron, magnesium, thiamin, folate, manganese, and dietary fibre. 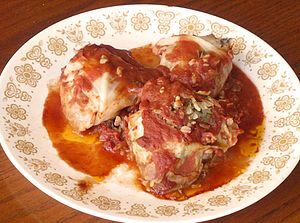 Here’s a recipe for crock pot cabbage rolls from CanadianLiving.com. Boil a large pot of water. Score the cabbage around the core as deep as you can with a large knife. Immerse in the boiling water and as the leaves soften (within 2 minutes, just peel them away with tongs and place in a colander or strainer. In a large bowl, combine the ground beef with egg, milk, salt, pepper, rice and onion. Place a few tablespoons or so of the meat mixture in center of each cabbage leaf, fold the sides and roll. Place into the slow cooker, seam side down. Repeat process until all meat mixture is used. In another bowl, combine the tomato sauce, brown, sugar, lemon juice and worcestershire sauce and pour over the cabbage rolls. Cover and cook on low for 8-10 hours. Serve with sauce. What’s your favourite crock pot meal?